The paint is slippery and I dropped it from my hands often. I think you need a non-slip. This review is about item#10384832. 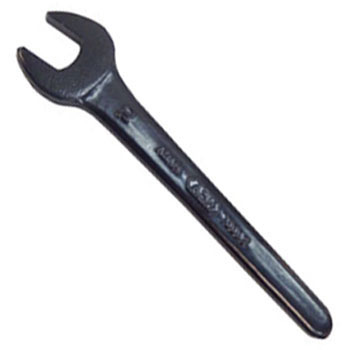 It is used for tightening the stem nut of the motorcycle. Because the size of the head was large, it could not be used as it was. Although I am concerned about strength, I am using the head to cut it to fit the work space. This review is about item#75262932. To relax the Ferrari BB oil tank hose connect. Used for Ferrari BB dry sump oil tank "bottom" and oil hose detachment (connect; connection part) between engines. Loose with a single shot. This review is about item#10384954. Used for attaching and detaching the stem nut of R100. Things that are sold as genuine products are short and it is difficult to apply torque, but with this length it is easier to tighten. This review is about item#75262957. Mainly used in piping maintenance. It is exceptional to use with a good size just right length. It is also attractive to the low price, and this ordinary grade material is sufficiently helpful. The feeling of use is good, I'm not playing too, so I think it's okay to put a lot of strength on it. It is useful. This review is about item#75262923. I bought it for the steering head of a bicycle or a scooter. Depending on the model of the scooter, tools do not fit in space, so it is saved because you do not need the tool (laugh) to process (which you can buy cheaply). Especially the accuracy is not high, but it is satisfactory in price. This review is about item#75262941. This review is about item#10384945. Previously I used a monkey, but depending on the location I could not loosen depending on the thickness, but could be loosened easily with a single wrench. The monkey is versatile and versatile, but it will not work in places where width and thickness are limited, so it will be better to use a spanner. Since pipes are also hung, you can work with ease by applying torque. This review is about item#10384963. I cut it for bolts and nuts in British inch and used it. It is moderately hard and cheap and convenient.